The 2013 Hyundai Tucson/ix35 Test Drive & Video! According to our Test Drive experience, we can say that The 2013 Hyundai Tucson/ix35 is one of the best crossover suburban utility vehicle in general. The Tucson is brightly styled, smartly conceived, with attractive design, and with great fuel-efficiency. The Hyundai Tucson (or ix35 in Europe), or is a mid-size crossover SUV built by the Hyundai Motor Company. In the Hyundai’s lineup, the Tucson is the smallest, but the most urban SUV.This car is named after the U.S. city of Tucson, Arizona. When the first Tucson/ix35 was unveiled in March 2010, it was very hard to satisfy the big consumer demand in the world. 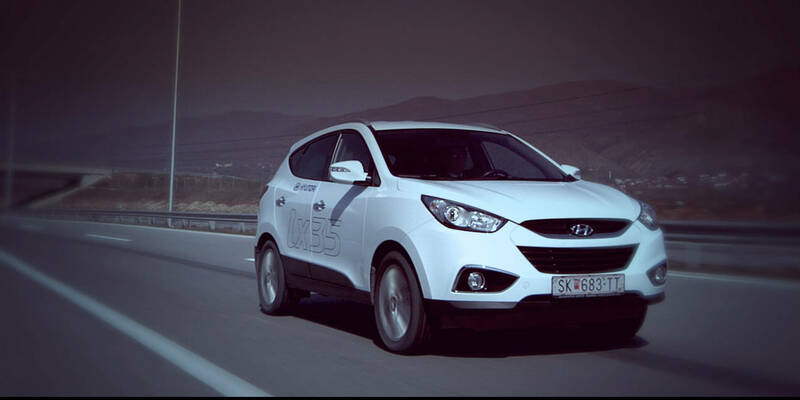 This Korean SUV became the fastest selling Hyundai car in the history of this company. Its worldwide sales exceeded all the expectations of the Hyundai’s decision makers. Only in Europe, 220,000 units were sold until March 2013. Enjoy the the 2013 Hyundai Tucson/ix35 Test Drive & Video Review from ReviewHyundai.com ! Finally, check it out this insane concept of the future Hyundai has prepared! Click on this link!